How to install an inexpensive wood floor at Grandmas house diy. 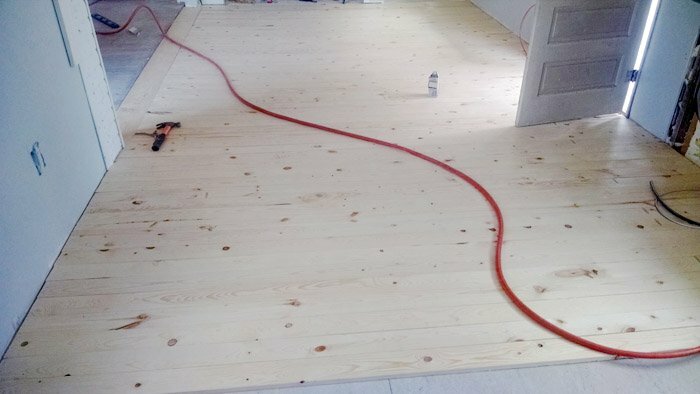 Tips and tutorials to lay down a pine floor for under $300, wood working do it yourself. Pine 1x4 floor stained with dark walnut by minwax, easy to lay down yourself and looks beautiful!